It's such a strong and reliable material that you probably don't think too often about your cast iron pans, furniture, and other implements. You're right not to worry, because cast iron can last forever—if you care for it properly, that is. Here's how. 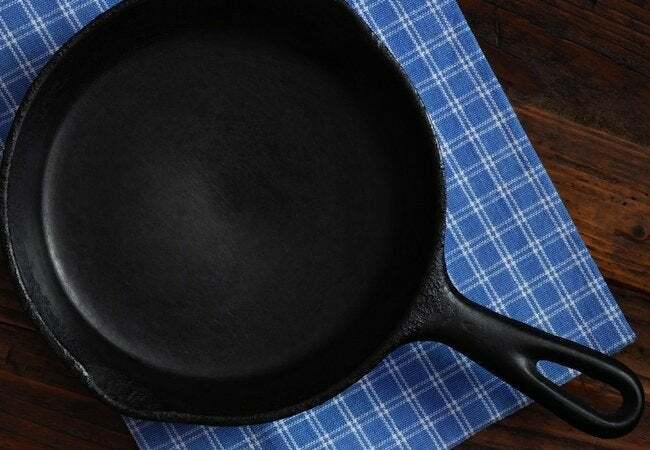 A durable material if there ever was one, cast iron occasionally requires cleaning, particularly where food preparation or moisture—and the rust it brings along—are concerned. To clean cast iron, you’ve usually got to put some elbow grease into it, but the good news is that properly cared for the metal can last a lifetime. Don’t use soap to clean cast iron cookware: It can hurt more than it helps. Instead, fill the cast iron vessel with water, then place it on a hot stove. As the water starts boiling, use a spatula to scrape away lingering bits of foods. Next, rinse the skillet one more time, wipe it down with a dry cloth, and put it back on the burner until the water has evaporated. Note that seasoning cast iron (with palm or grape seed oil) helps cookware become more resistant to sticking and rust. To clean cast iron that’s covered in rust, place the cookware in the oven, then run the appliance on its self-cleaning cycle. (Remember to remove all oven shelves and to support the cast iron away from the oven base—for example, on top of a ceramic mug.) Once the oven has completed its self-cleaning cycle, the rust and accumulated oil on the cast iron will have charred. It’s by no means glamorous work, but you should be able to scrub off that flaky black material with a dry towel. 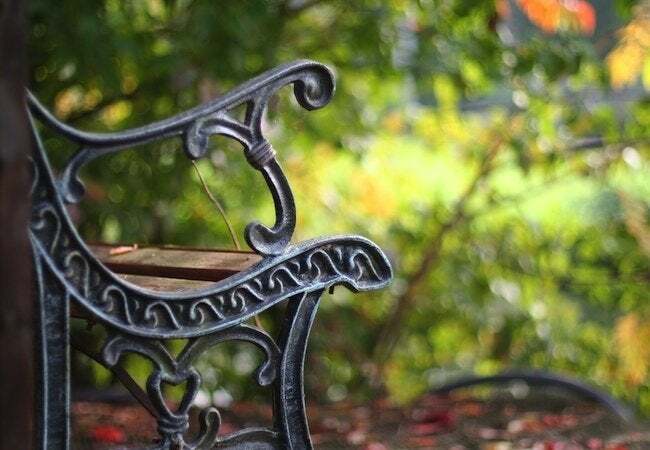 To clean cast iron furniture blemished by a dusting of light rust, rub the affected areas with sandpaper, wiping it down afterward with a dry cloth to eliminate residual particles. Next, scrub the furniture with a solution of water and gentle detergent. Thoroughly dry the piece once it’s clean. If you are going to repaint, do so in two coats, allowing four or six hours to elapse between each coat. Seal cast iron furniture with a liberal application of car wax, buffing all over until it’s see-through. Grill grates take a real beating. To clean yours, mix a solution of four parts water to one part apple cider vinegar. Continuously dip a steel-bristled brush into that mixture, as you vigorously scrub the grates, eliminating all buildup. Finish by wiping off the grates with a dry cloth. Repeat this procedure on a regular basis during the times of year when you frequently grill. 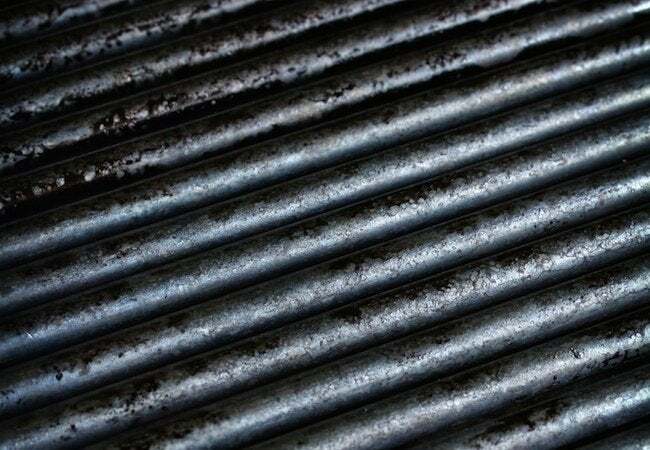 If there’s rust, turn the heat up on the grill and leave it going until char forms on the iron before finally wiping the grates clean. Want to seal the grates against future accumulations? Cover them in a layer of cooking oil, then run the grill at medium heat for about 90 minutes. 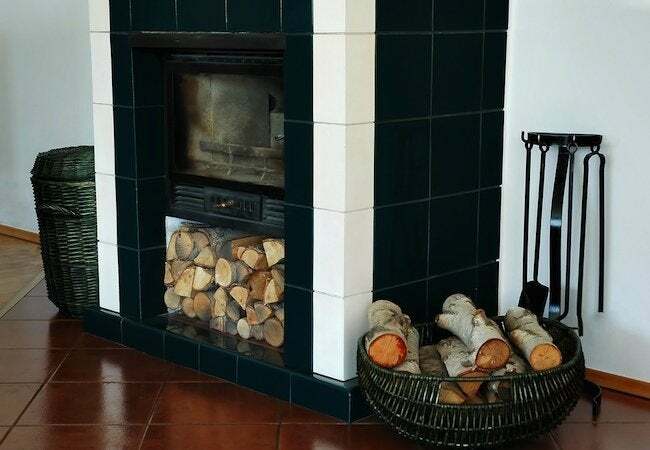 The fireplace tools used to reposition burning logs in the fireplace inevitably get covered in soot. Fortunately, it doesn’t take much to clean them. Spray on WD-40 3-in-One and give them a good scrub with steel wool, wiping dry to finish. After that, apply iron stove polish to protect the cast iron from moisture.